Step 1 - create a new export project. This allows you to reuse the export settings at a later date. ...or enter your query to extract the items. 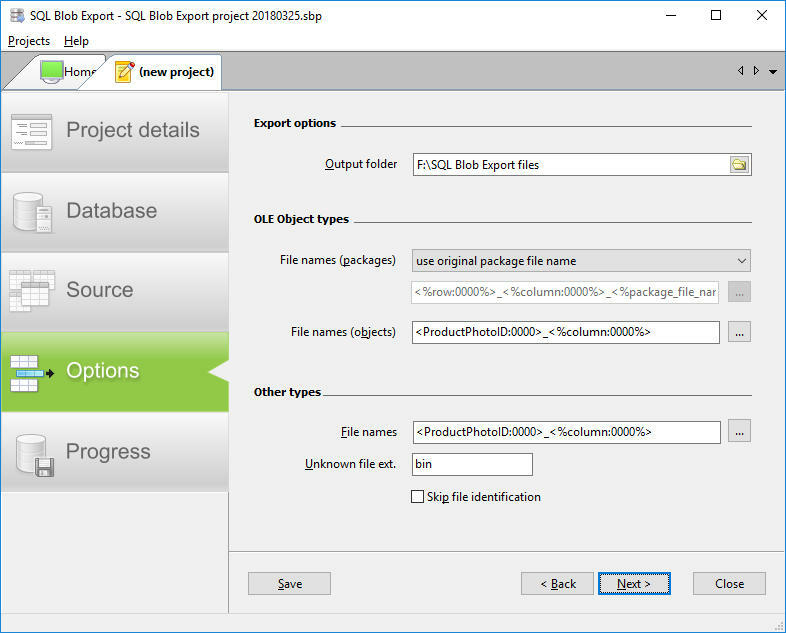 Step 4 - enter the folder name to store the exported items in, and the naming convention. Step 5 - sit back and watch the magic happen. • That’s only 100+ items. Can I export millions of items? Yes, you can certainly do that. 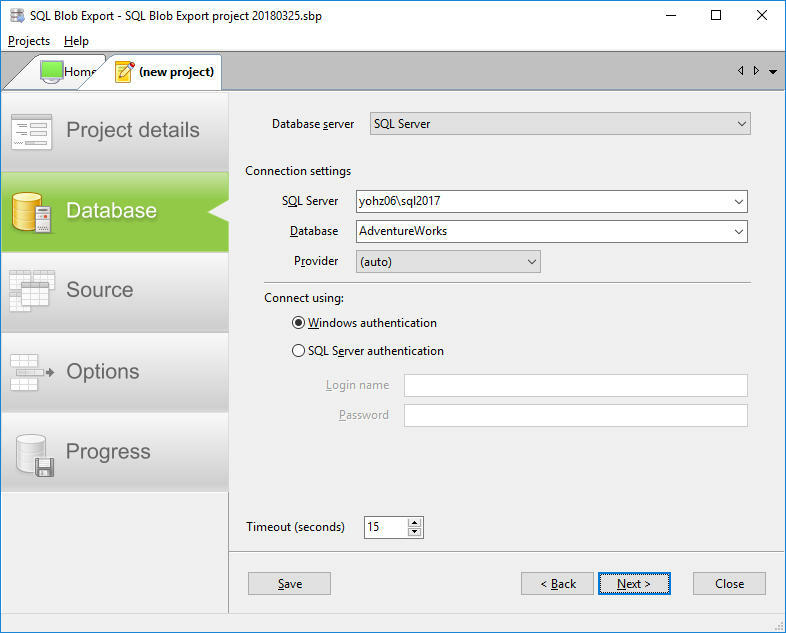 SQL Blob Export processes the rows in batches, so it does not ever hold the entire result set in memory. 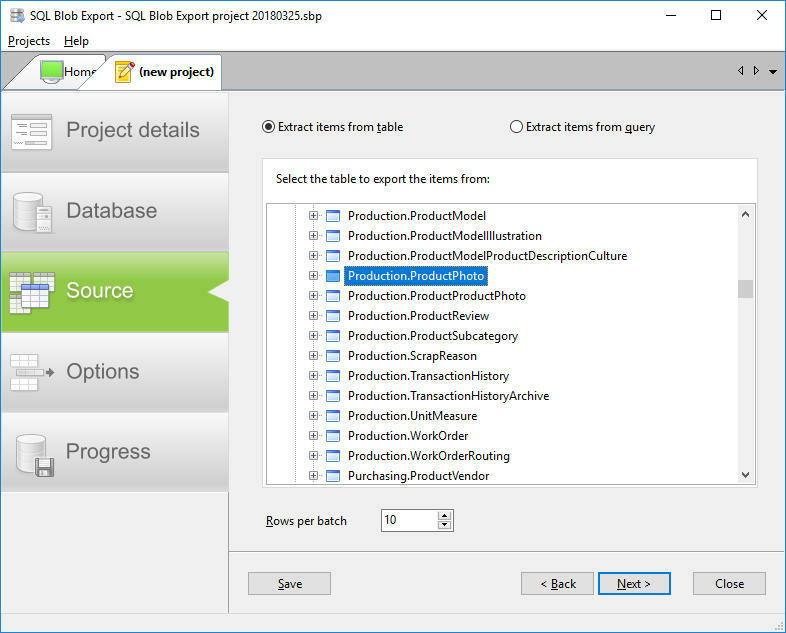 Thus, you can export an unlimited number of items from your database (subject to your disks having enough storage space for the exported items). 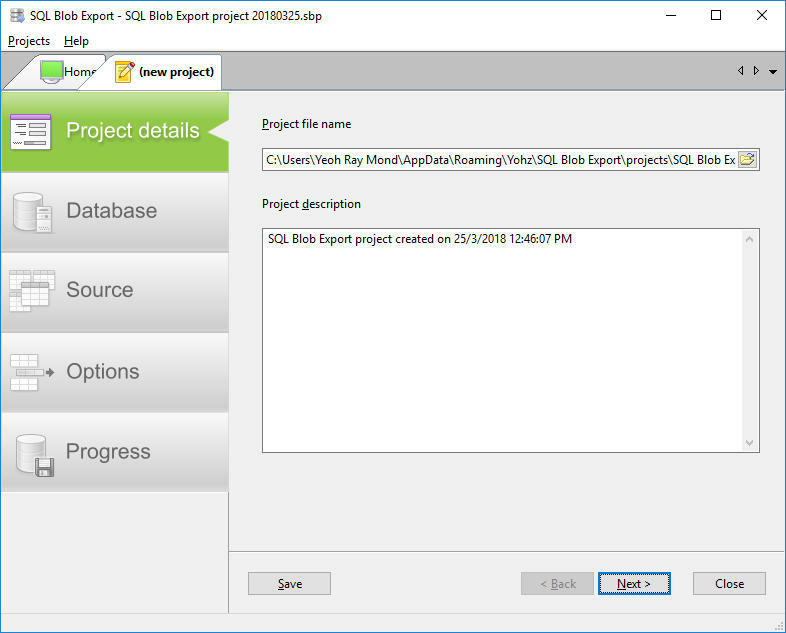 • Do I have to tell SQL Blob Export the type of file I’m exporting? Nope. If you look at the example, you see that the query only retrieves the ID column and the 2 binary data columns storing the images. 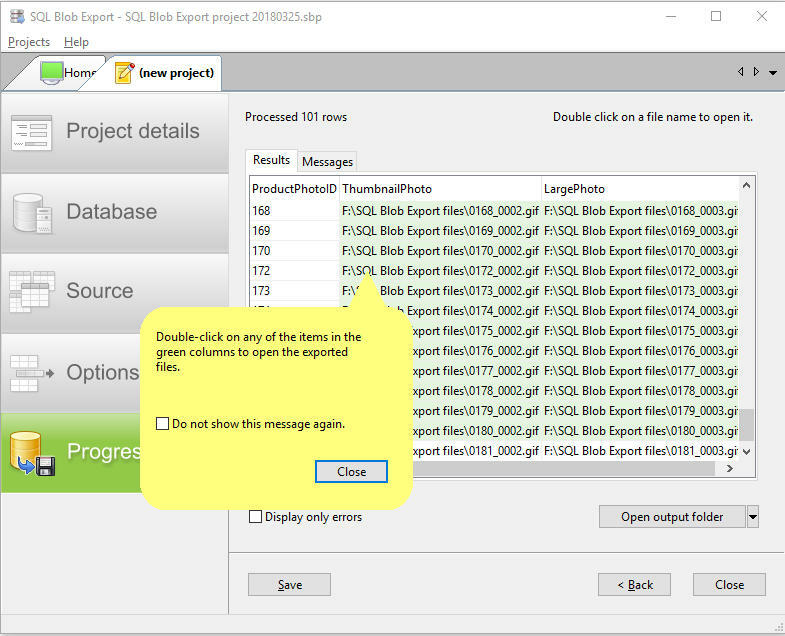 SQL Blob Export can ‘read’ the binary data, identify the file type, and add the appropriate extension to your file. It can identify over 45 file types on its own. For the complete list of supported file types, please refer here. • Can I use the original file names to name my items? You certainly can. You can name the exported items in so many ways that we need another page to describe all the various options. Read more about it here. • Which database engines are supported? 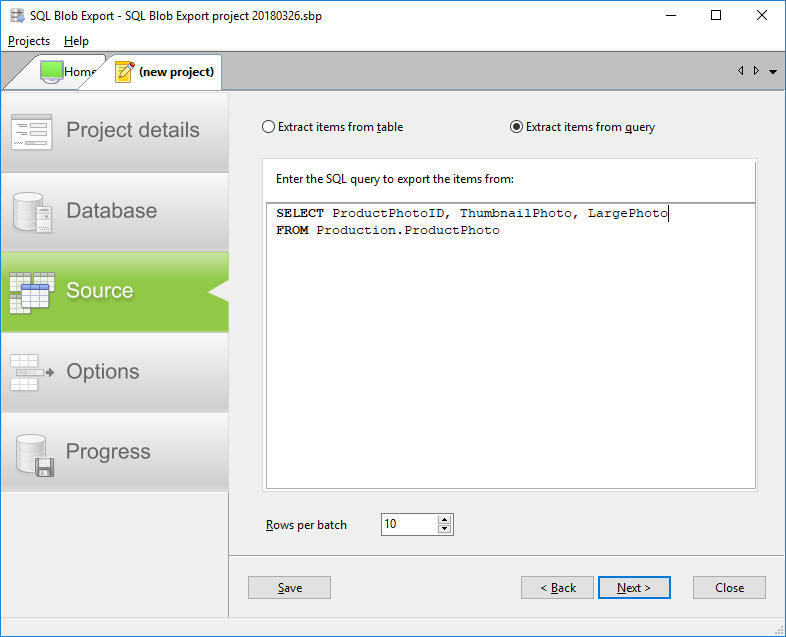 SQL Blob Export supports most of the popular relational database engines out there. Refer here for the latest list.